Video: Emerging Women Conference: Guru Jagat. Video: Wanderlust: Take Back Our Sovereignty. Guru Jagat, deemed the modern face of Kundalini Yoga, brings a fresh perspective to this ancient practice. A senior teacher with over a dozen years of experience, Guru Jagat studied under Yogi Bhajan, the Kundalini Master responsible for bringing the practice to the US. Her profound classes, teaching Kundalini as a technology and tool that can be used to achieve and sustain long-lasting happiness, have earned her devout fans from around the world. 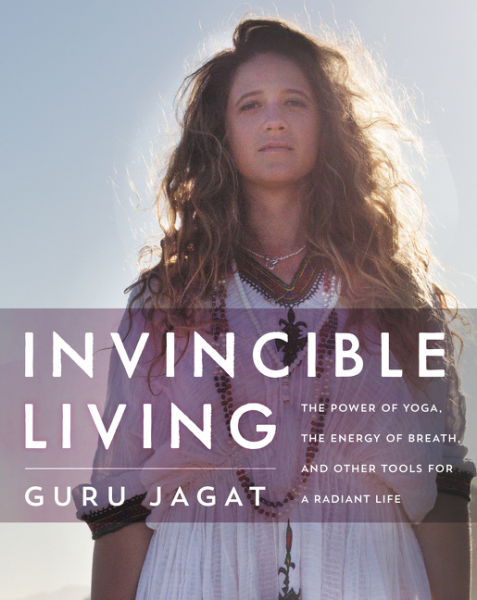 In January 2017, Guru Jagat’s book Invincible Living: The Power of Yoga, The Energy of Breath, and Other Tools for a Radiant Life (HarperElixir) will debut. Invincible Living is a hip life-style guide for anyone interested in living a healthier, happier life. Candid, encouraging, and irreverent, Guru Jagat shows how Kundalini Yoga—which forgoes complex poses for energy-boosting, breath-driven exercises, quick meditations, and simple poses most of which you can do at your desk—can reset your life and well-being, regardless of your age or background. From beauty and self-care to work and relationships, Invincible Living tackles both the mind—from mood elevation and stress reduction to renewed mental clarity—and the body—from anti-aging, and increased metabolism to amped up energy. This fresh practical handbook will take readers off the mat and out of the studio with instruction in how to apply the simple and effective technology of Kundalini to everyday life with remarkable results. Guru Jagat is founder of RA MA Institute for Applied Yogic Science and Technology—a leading yoga school based in Venice, California and Palma de Mallorca Spain—offering classes, retreats, workshops and trainings. 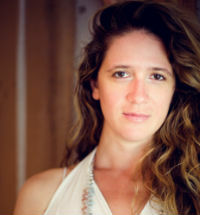 In partnership with veteran producer Julian Schwartz, she launched RA MA TV—a virtual media platform that makes Kundalini yoga and yogic lifestyle accessible worldwide, as well as indie yoga music label RA MA Records with a mission to trailblaze a new genre of music with mass appeal both in and out of the yoga space. Currently, Guru Jagat resides in Los Angeles.